This is the evaluation report of a pilot research project undertaken by Club Soda, in partnership with Alcohol Concern, from May 2015 to January 2016. The project was funded by Hackney Council’s Healthier Hackney Fund with additional resources from Club Soda. This evaluation report has our key findings, conclusions, and recommendations. There is an additional document with further details. There are three areas of focus in this report: customers, pubs and bars, and local authority licensing. Each has competing agendas and aims, and they are not the only actors who can influence how pubs and bars operate. The research methods included desk research, mystery shopping, interviews, an online survey, co-design workshops, and experiments with pubs and bars. We learnt just as much about the challenges of working in partnership with pubs and bars as we did about what factors might influence change. We conclude that it is possible to support pubs and bars to change their drinks offer and behaviour. 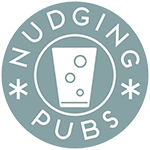 Some pubs and bars already recognise and act on the changes we have identified in customer behaviour (lower alcohol consumption, increased demand for new kinds of soft drinks and lower and non-alcoholic beers). They can see the financial value in offering a wider range of non-alcoholic drinks. Sharing this information more widely, via trade bodies, drink producers or customers, should improve the offer by venues. This would directly impact the issue that prompted our research. During our research we saw many examples of activities undertaken by venues that we would like to see spread more widely. These ideas could be spread by the industry itself, and also by local authorities, in particular their licensing teams. A self-assessment process and award scheme for venues would be just one way of doing this. This could also include making it easier for venues to discover and stock alternative drinks, especially those that are already popular, or which would fit their business. 3. Articulate a clear understanding of expectations from industry and local authorities, and demonstrate what ‘good’ looks like. The aim of “promoting sensible drinking” is not well understood at the moment. Local authorities, together with the industry, should set up clear expectations on this to venues. A self-assessment tool that venues could use to rate and demonstrate their compliance seems like the simplest way of achieving this, but there should also be some peer or customer-led element to this, to give any solution the necessary incentives. We also developed a theory of change which identifies the actions and activities we feel would be most effective in achieving change within pubs and bars, and that we can incorporate into more scalable prototype ideas to test. And we mapped the key behaviour change techniques against these actions and activities. This project will continue next year, in partnership with Blenheim CDP. We will further develop and test a self-assessment and award scheme product to promote sensible drinking, designed to deliver the four recommendations above in one scalable prototype. We will also build on our prototype experiment to design and promote a signposting website to guide customers who want to reduce their drinking to supporting information and services.